“I always think of him, who remembers Me. I require no conveyance, carriage, tonga, train or aeroplane. I manifest Myself to him, who lovingly calls Me.” These are the words of Sai Baba to Mr. Jog when He was invited for Mrs. Dev’s Udyapan Ceremony by Mr. B.V.Dev according to Sai Satcharitra in chapter 40. Sai Baba never spoke untruth. He always stuck to His words and at last His ignorant devotees realized significance of His words. Sometimes He said the words for the welfare of His devotees directly, sometimes indirectly and many times appeared in dreams of His devotees. The following story highlights the same point. It was in the year 1914 that Andheri area of Bombay was not developed. No electricity and water were available at that time. Ramchandra Sitaram Dave was working in a primary school as a sub teacher. In Shirdi everyone called him Balabhau or Balabhati Saheb. His wife’s name was Umabai. Both couples served Sai Baba selflessly and were contented with whatever they get. Ramchandra Dave also had responsibility of post master of Andheri. He got additional wages for this work. Moreover he also worked as a stamp vendor. In this way, he could get adequate money to meet his expenses. Whenever the couple went to Shirdi, Sai Baba did not let them go for many days. Due to this there were gaps in his job. He even resigned from his job of sub teacher in the school. Now due to the grace of Sai Baba, his business of stamps went on well. In the year 1914 due to the war between British and Germans, many burglary and thefts took place in Andheri region. Not many people lived near the house of Ramchandra Dave. So both husband and wife were frightened as they were living there alone. Daily they prayed to Sai Baba for their safety at night and then slept. 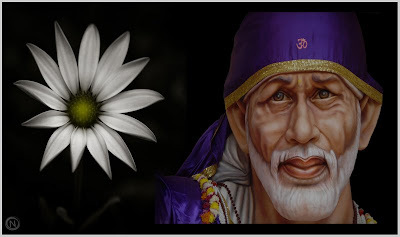 One day Sai Baba appeared in the dream of Umabai and said, Don’t be frightened. I will send ten Pathans tomorrow for your safety. After that there is nothing to get scared. Next day Umabai narrated her dream to Ramchandra Dave. Due to the war, there was a boom in Bombay. The business of washer men flourished very well. So the washer men of Uttar Pradesh were attracted towards Bombay to try their luck. There was spacious land and adequate water at the place where Ramchandra Dave lived. So about ten families of washer men started living near Ramchandra Dave’s house. Ramchandra Dave gave some land on rent to them for washing clothes. In this way the land where even dogs were not seen was now overflowing with people and Sai Baba looked after the safety of His devotees. Moreover there was a considerable increase in his income.